The Duchess is now available for pre-order from Industria Mechanika! This 1/6th scale resin kit was designed as a companion to the popular Dystopic kit. Amazingly sculpted by Gene Campbell! Shipping March/April 2019. Here is a pic of a holiday/moving card I did for G.L.Smith Planning & Design in Toronto. They were moving into new offices in the same building so we went with a theme of busting through the floor into their new space. Add in a few holiday touches and it doubles as their holiday card. Not very traditional.....but it was a lot of fun. Another edition of Dystopic model kits are being released and are available for pre-order at Industria Mechanika. Available at the IMech shop here. Here is a link to build of this kit from Tested a few years back. 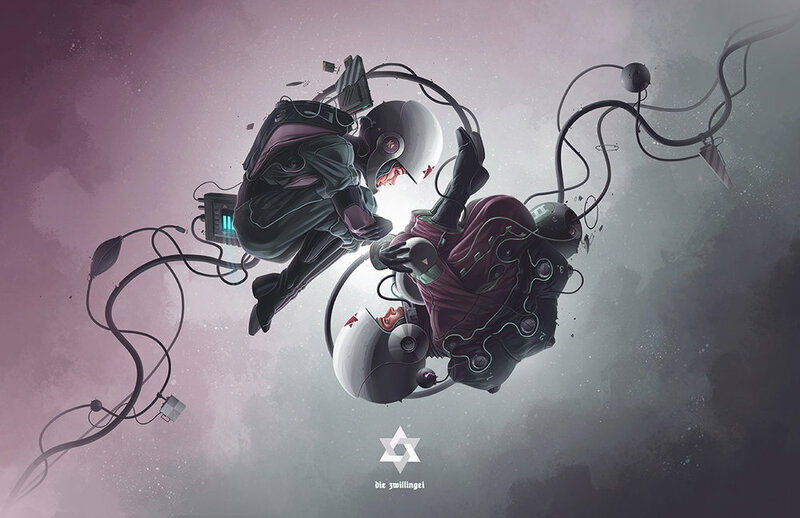 Even though I’m slammed with concept design work on 2 different projects with 2 different companies (plus the occasional 3rd contract in the mix…), along with kids and other family priorities, I do still manage to get a personal piece in there once in awhile. Here is a new(er) one I found some time to finish off. Higher res. and additional images on my Art Station page here. 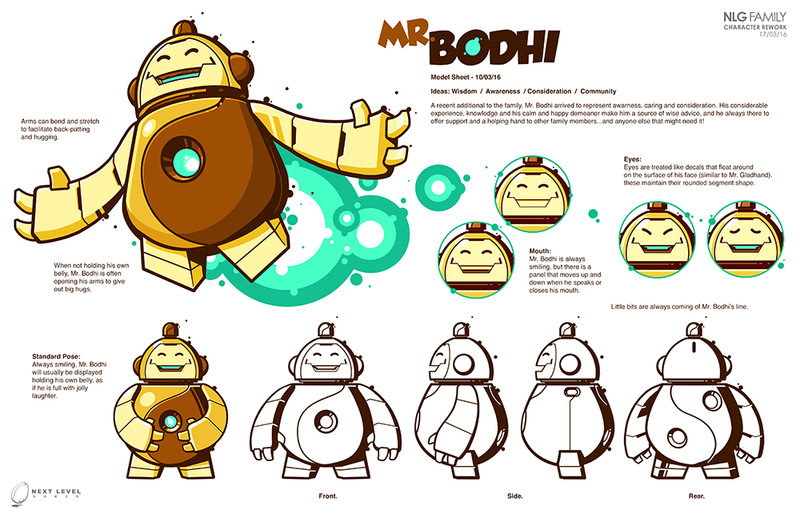 While I’d like to spend more time on this stuff, it will have to stay on life support at the moment…. Couple shots of the Duchess master print ......showing off Gene Campbell's amazing sculpting work. This one turned out great. 3D printing of the master sculpt was once again handled by Des at Ownage. Coming soon from Industria Mechanika! I’ll post the dates once I get them from Michael at Industria. Here is a link to a nice reminder by Adam Savage of Tested/Mythbusters fame, on the problem of recasting. I've posted about this issue before and Adam hits all the points perfectly. Thanks to Adam for picking up another kit! Here is the link! Cover art for book 2 in Jeremy Mathiesen's swashbuckling Cyrus Longbones trilogy! 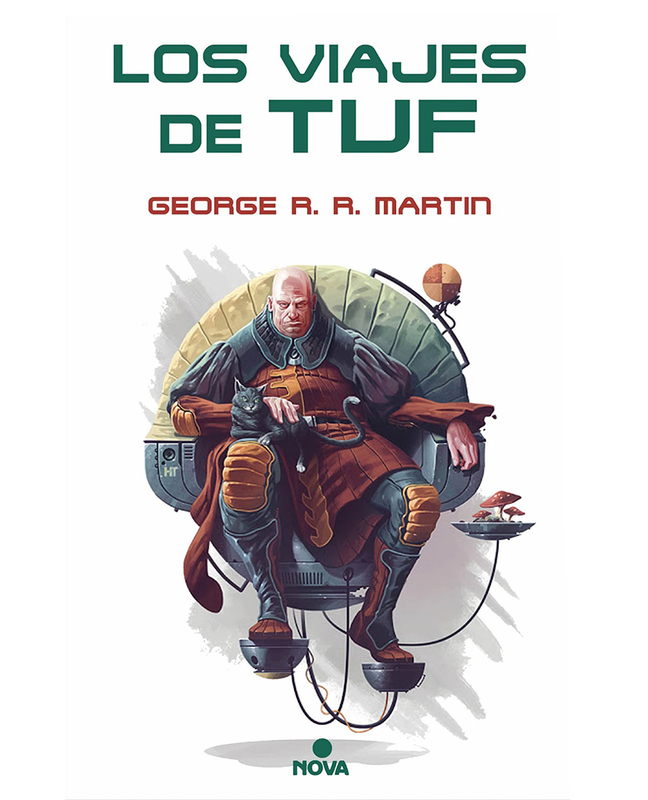 A full wrap illustration was created for the paperback print edition and the front cover was re-puposed for the ebook and audio book versions. Published by Viking House Publishing. Thanks to Jeremy! 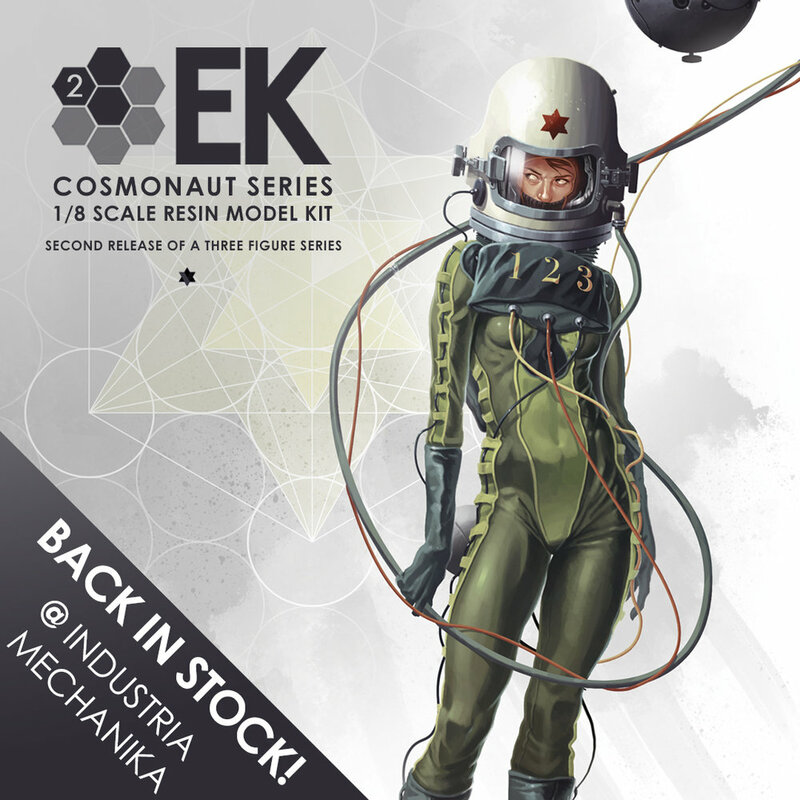 The 3 kits of the EK Cosmonaut Series are back in stock at Industria Mechanika! Expertly sculpted by Gene Campbell these 1/8th scale kits feature cast resin parts, metal wires and decals. The perfect addition to the more adventurous modeller's display case! As I mentioned in a previous post, the 1/6th scale Dystopic kits are also back in stock. Get them at the IMech shop here! I'm going to be on the judging panel again for The Rookies, a yearly international awards competition for student artists, designers, animators, creators, etc. Every year they hand out a bunch of great prizes and paid internships. Given the large amount of interest and applications to the competition this year judging has been pushed back a couple weeks, but winners should be announced in mid July. A few shots of the Duchess sculpt....highlighting Gene Cambell's great work on the modelling. We had a few delays during the the production of this one but the sculpt is finished and the kit is in printing/production with Industria Mechanika. This kit will be a companion to the Dystopic kit......sharing the same, large 1/6th scale. Will post updates, release dates, etc. in the near future! Here is a logo design I did recently for small independent publisher Viking House. I usually shy away from straight up graphic design gigs....as I am much more of an illustrator than a graphic designer, but this one seemed that it would be pretty fun. It definitely helped that they had fairly good idea of what they wanted, a design blending a dragon and a viking longship, so that made the task easier. We went through a few different design iterations and we eventually settled on this. After the primary logo was finalized, different logo display options were created. This one is a holiday card graphic designed for Toronto based marketing and design firm G.L. Smith Planning & Design. They wanted something fun, that spoke to tech, design and Canada, but given current sensibilities, couldn't have any overt Christmas imagery or motifs. After a few iterations and options we settled on "The Greeting Machine", a bold graphic design of a contraption that displays well wishes and incorporates cute robotic interpretations of iconic Canadian animals. The final design was printed as a greeting card to be sent out to clients, colleagues, friends, etc., and it was also printed as a large format poster for use within the G.L. Smith office. Thanks to Matthew at G.L.Smith Planning & Design. The 1/8th scale EK Cosmonaut 02 is back in stock over at Industria Mechanika. Order now if you want to get one of these shipped out before Christmas! The inventory of the 1/6th Dystopic kit is also getting low, and my not be re-printed until late 2018, so if you are interested in that kit, now may be the time to pick one up!